Directory of Florida Parks – Photos and Information – Directory of public parks in the state of Florida. Most of the parks listed are located on the West coast of Florida. The park listings include information and photos from the park. Select a park from the list below to view information and photos from the Florida Park. Most of the parks in Florida are free to visit. Mostly a state park with a very small beach area. A great place to take photos. There is a small entrance fee to enter this park near Jacksonville. 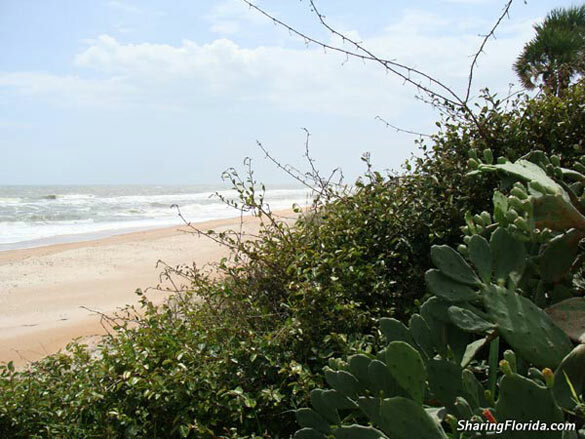 As the name state this is a small park – about 5 miles of beach and wilderness. There is a fee to enter the park. Features a nice hiking trail. This is north of Ormond Beach in a town called Ormond by the Sea. This is a calm and quiet beach area and park. The parking is roadside parking. North of Daytona Beach by about 10 miles. This is a park and beach area in Ormond Beach. A much quieter area than Daytona Beach which is about 10 miles south of this area. This is the farthest North beach in Florida. On the Atlanic coast near Georgia. There is a charge to enter the park – around three dollars. A free 1,200 acre nature reserve near Central Florida. You can see a variety of Florida palm trees at this nature reserve including: sabal palm trees, cabbage palm trees, saw palmetto, and more. In some areas you can see lots of Spanish moss. Photos from the beach area in Tampa Florida. This is located within view of the Howard Frankland Bridge in Tampa. See our photo gallery for different views of the beach. We took these photos in the summer of 2009.